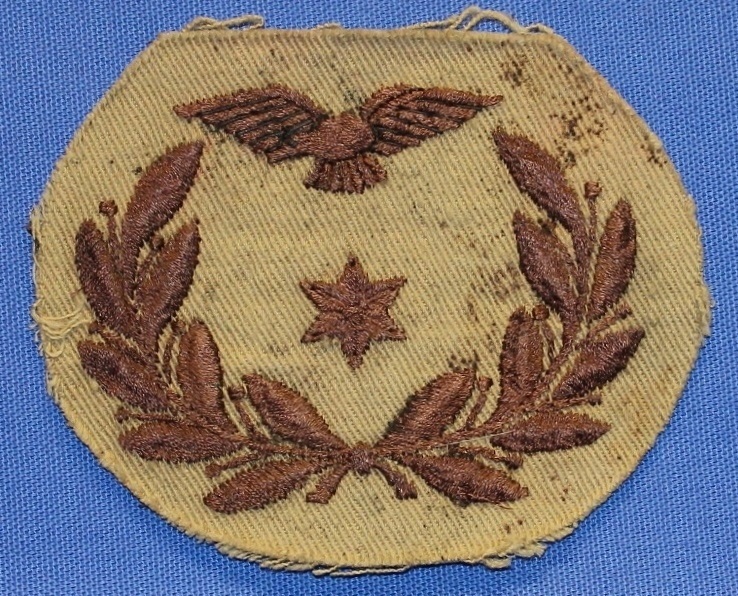 PH029. 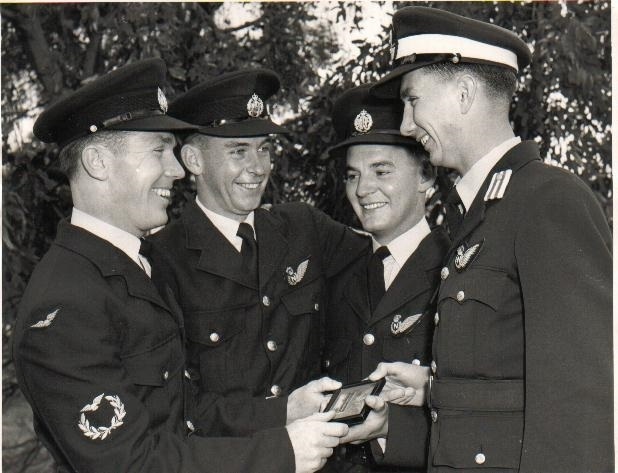 Graduation No 17 Basic Navigator Course, RAAF East Sale 10 Oct 1958. Blue O'Neill, Brian Parrish, Don Porter and Noel Montgomery. 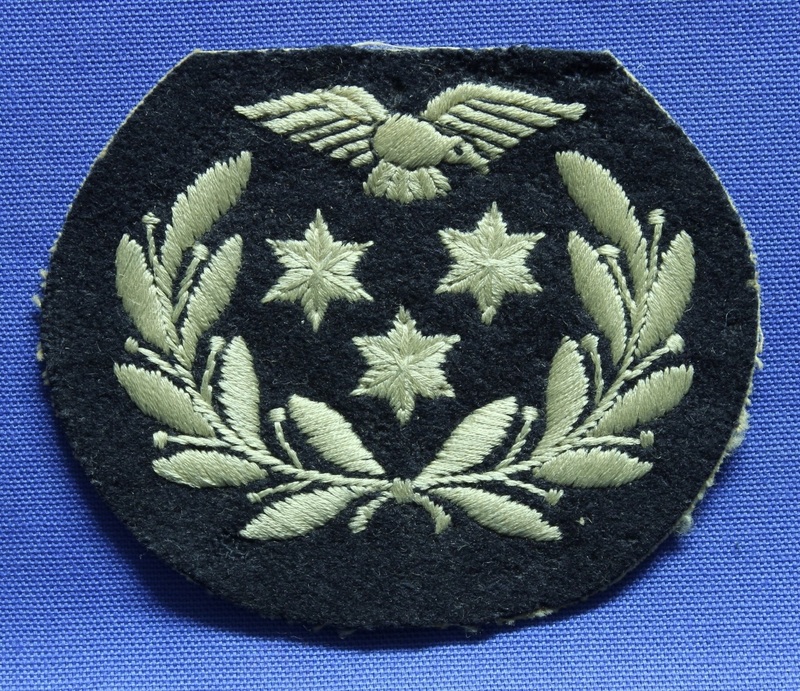 Non Commissioned Aircrew Rank Badges. 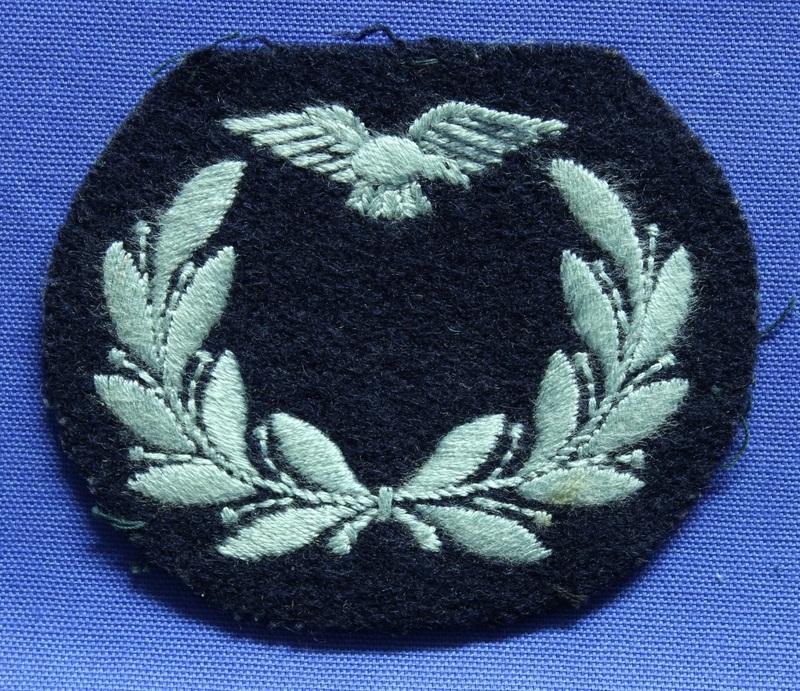 The RAAF was to follow the example of the Royal Air Force and introduce different ranks and insignia for those of non-commissioned rank employed in an aircrew category. 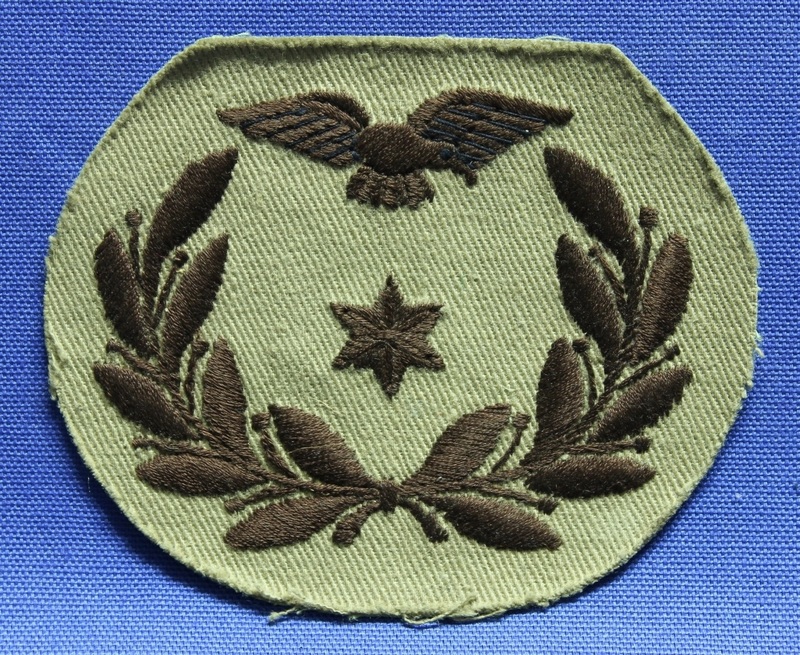 This decision is attributed to Air Vice Marshal J E (Joe) Hewit who was Air Member for Personnel. 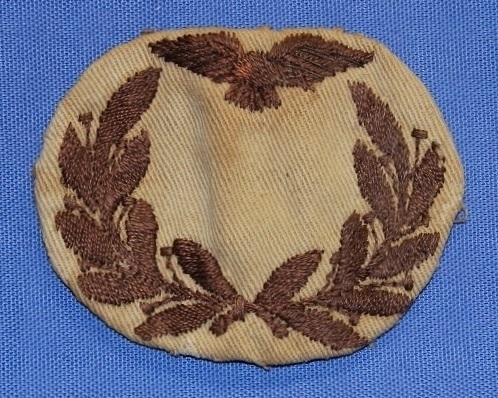 The design was adopted from the United Kingdom and the predominant feature was a laurel wreath with stars indicating the seniority and, in the case of Aircrew Master, featured the Royal Coat of Arms at the top of the wreath. 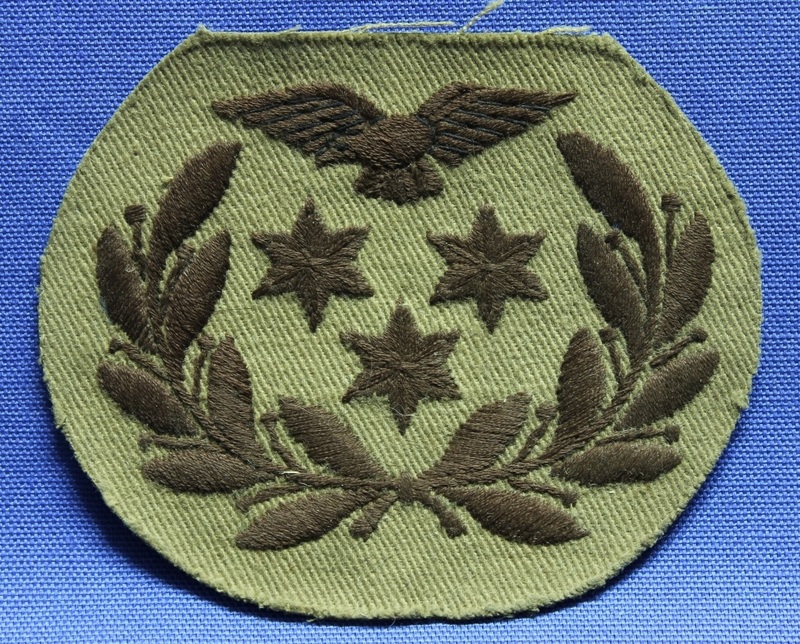 The badges were produced in opposing pairs, on blue melton cloth and in khaki drab types for winter and summer uniforms respectively. IN083. 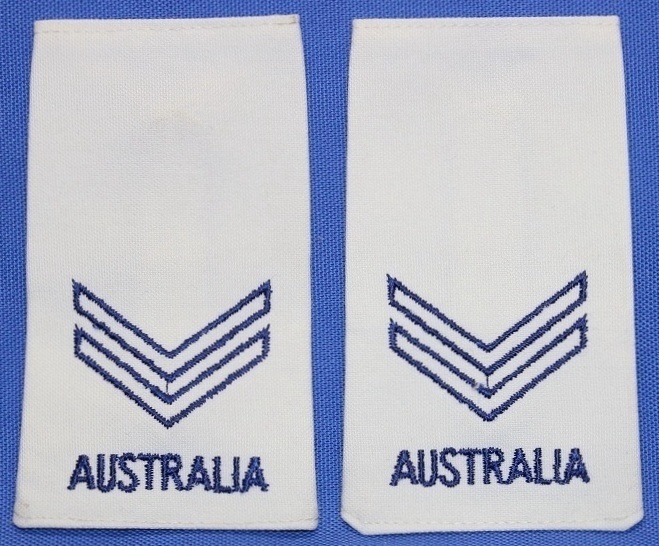 Airman Aircrew trainee epaulet slides, corporal chevrons in blue on white shoulder slides. IN616. 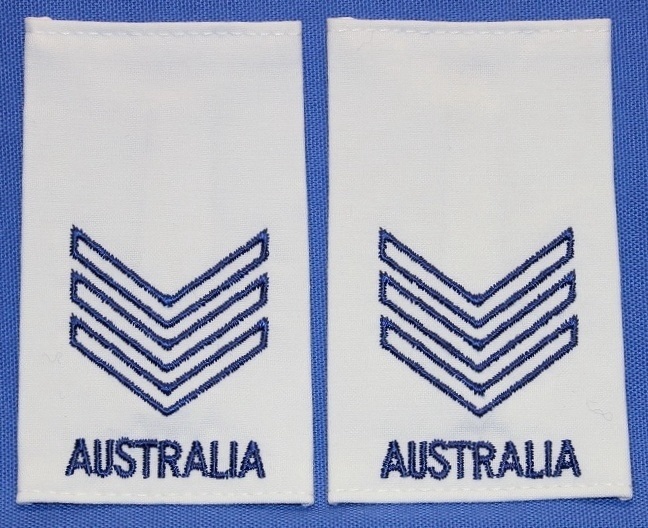 Airman Aircrew trainee epaulet slides, sergeant chevrons in blue on white shoulder slides. 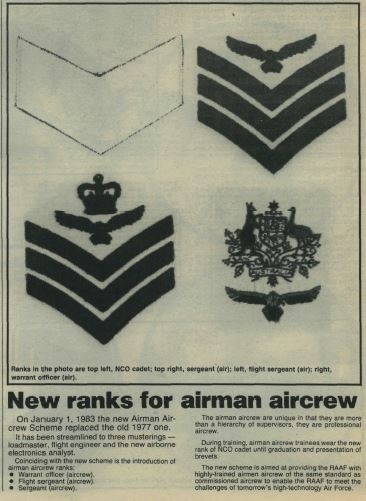 RAAF News article on the introduction of Airman Aircrew insignia in 1983, article dated 1985. IN1120. 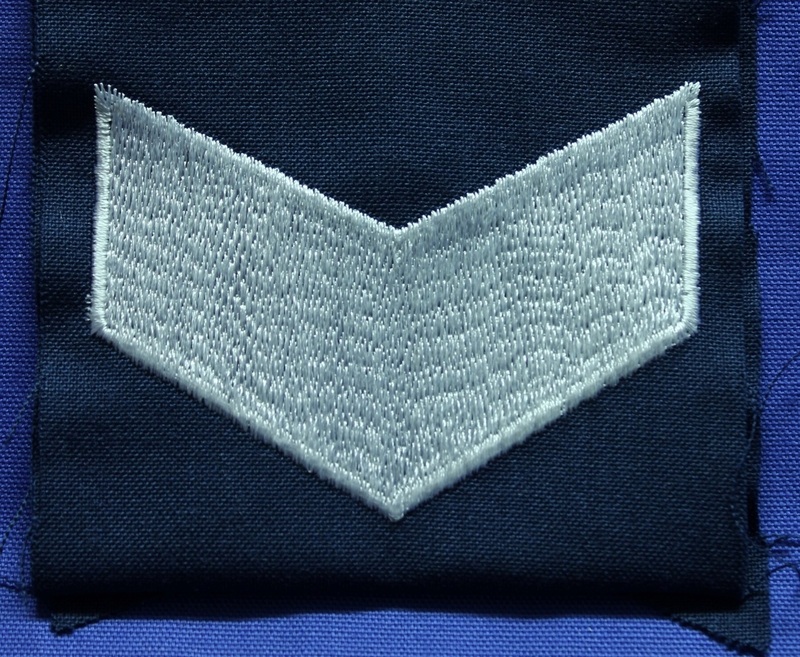 Airman Aircrew trainee chevron, white on blue/grey. IN1121. 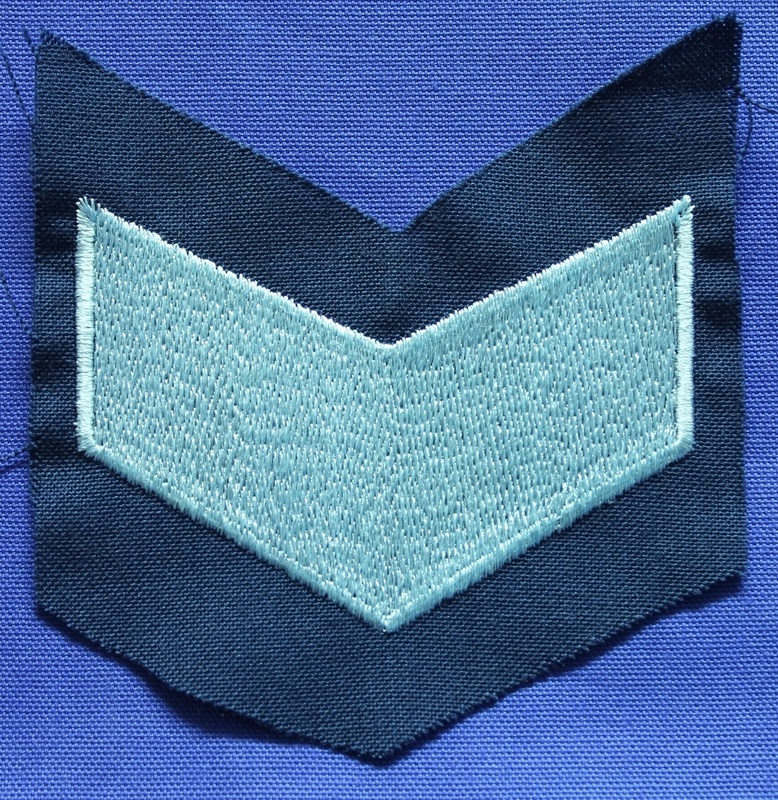 Airman Aircrew trainee chevron, silver blue on blue/grey. IN1122. 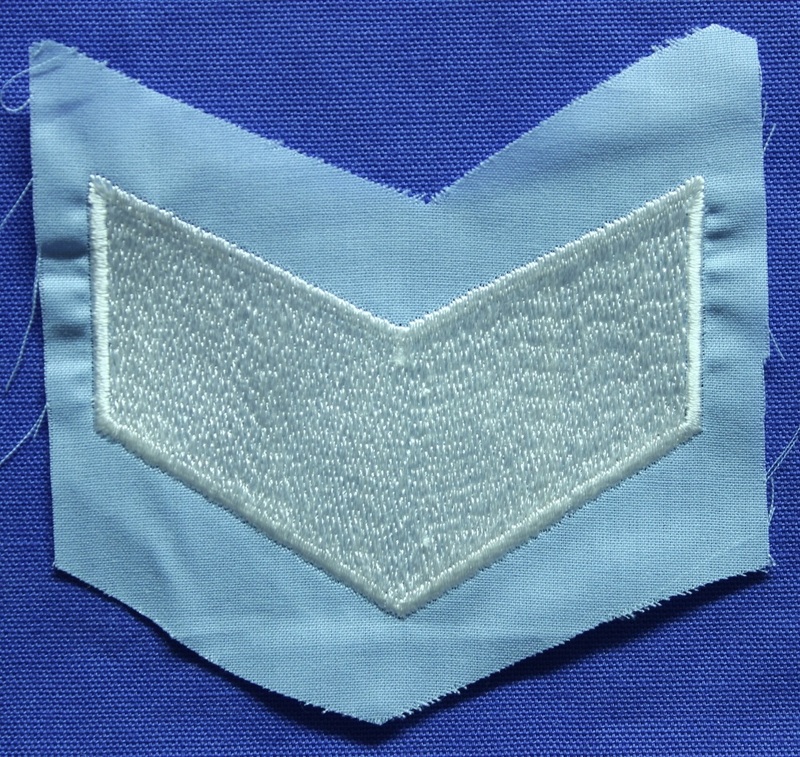 Airman Aircrew trainee chevron, white on light blue.